Apple and five major publishers are being sued by the US government over allegedly colluding to push up prices by moving to the so-called agency model of selling eBooks. 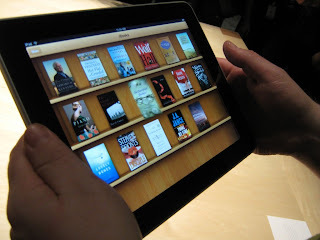 Before the arrival of the iPad, eBooks were sold via the wholesale model: an online store, such as Amazon, bought the book from the publisher for a set price, and sold it to customers for whatever price it chose - meaning bargains and deals for shoppers. Worried about the long-term effects of Amazon's price cutting, five publishers and Apple switched to the agency model, where they set the price and the online store gets a 30 per cent cut. The six firms allegedly arranged for Apple to always get the lowest price. While three publishers have settled, Apple, Macmillan and Penguin have refused, meaning the case could go to court. You may think this is an obscure legal case with no interest to you, but it should mean lower eBook prices because some publishers will now switch back to the wholesale model, undercutting Apple’s prices once again. Indeed, cheaper prices are already appearing on Amazon. However, we’ll need to wait to see how the US court case plays out -and see how a separate EU investigation ends - before it's clear exactly what will happen to eBook prices in the long term. Authors and publishers deserve to be fairly paid for their work, but ganging up on customers isn’t the right way to achieve that. We want a healthy market for eBooks, with publishers able to invest in books and customers able to afford them; hopefully the battles between huge firms such as Apple and Amazon to hang onto their piece of the pie doesn't lead to some of the same anti-consumer nonsense seen in the music, film and TV markets as they went digital, such as taking down Napster and targeting music fans for sharing songs when the record labels weren't even selling them as MP3s.